They're not the only choices for designers, but Adobe's applications are among the best, and no other company can offer such a comprehensive range. The Creative Suite brings them together in one box, or rather a choice of six boxes. These range from Web Standard, which includes Flash, Dreamweaver, Fireworks and Contribute for around £820, to the Master Collection, which adds Adobe's pro video apps – Premiere Pro, After Effects, Soundbooth, OnLocation and Encore, together a powerful rival to Apple's Final Cut Studio – to the full set of print and web design tools for £2,275. Design Premium has the broadest appeal. This comprises Photoshop, InDesign, Illustrator, Flash, Dreamweaver and Fireworks (but for some reason not Contribute, the web content editor). Like all the suites, it also includes Device Central, which helps you create and test multimedia content for mobile phones and other gizmos; Version Cue, for central management of files used by creative teams; and Bridge, an integrated file browser. Most of the applications share a common user interface, which has been completely redesigned. Instead of toolbars and palettes (or panels, as Adobe calls them) floating around your screen, they're all contained within a window, the Application Frame. Documents appear in tabs, rather like tabbed web pages in Safari. We suspect this may be the way of the future; it feels weird at first, but it's easier to manage. The Application Bar at the top is harder to defend, awkwardly combining options that are duplicated elsewhere, and we're uneasy about Adobe introducing its own user interface elements into Mac OS X. But the Application Frame and/or tabs can be turned off, and there are more ways than ever to customise everything. Bridge, though easily overlooked, is rather good at previewing lots of files quickly. It's also very easy to customise the workspace and switch between different arrangements for different tasks; this is true of the other apps, too, with varying degrees of usefulness. A new File > Share My Screen command, available throughout CS4, links to Adobe's ConnectNow service, which lets other users (whether on Macs or PCs) see what's on your screen, in real time. You can annotate the display and use built-in text chat and webcam support. The remote image doesn't update quite fast enough for live demos, with just over a second's delay, but this could be really useful for discussing and presenting work. 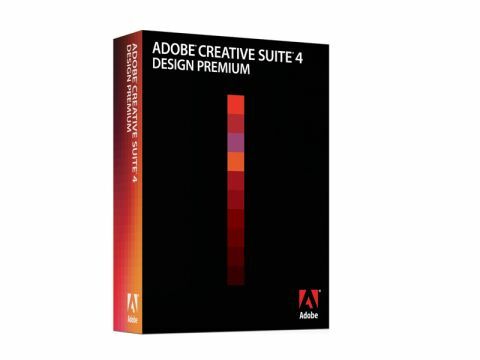 Adobe's quoted retail price for Creative Suite 4 Design Premium is £1,467, compared to $1,799 in the US. Even knocking off the VAT, UK users are paying 20% extra. Design Premium does include the Extended version of Photoshop you can pay about £450 less for Design Standard if you can live without this and the web apps. Overall, Creative Suite seems expensive for the small studio or freelance designer, and the upgrade pricing is steep. We'd like to see prices lowered. Nonetheless, you're getting a feature-packed set of pro apps, and while it may not be an essential, Creative Suite 4 is the obvious choice for anyone who's serious about design.